Answering to the demands of high blood pressure within my family, I add no more than a pinch of salt when preparing dinner these days. Salt is huge flavor enhancer, something the body needs, and something I have personally enjoyed in abundance. Too much salt is not a good thing. Years ago, rather than denying the family and myself flavorful meals, I decided to try out several salt substitutes. I found the most flavorful to be Mrs. Dash. Since that time, Mrs. Dash has developed 15 seasoning blends and 6 marinades too. The seasoning blends and marinades are all natural and contain at least fourteen herbs and spices, as always. These flavorful products are not only salt free, but contain no m.s.g. as well. The mesquite grill marinade is very flavorful. I have smothered boneless chicken with this blend, marinated for thirty minutes, and baked at 350 in a shallow baking dish for about 40 minutes, yummy! Browsing the recipes on Mrs. Dash, my favorite is the Baked Chicken Siciliano. Those of you who have visited my food blog know how much chicken is consumed by my family and I am always up for a new chicken recipe. This is the recipe I’ll be testing on Saturday, be looking for an update on this one. 1. Heat a large sauté pan to medium. Spray pan with cooking spray and sauté chicken breasts on each side for 2 minutes. 2. Combine tomato sauce with 2 Tbsp. of water and 2 Tbsp. Mrs. Dash® Tomato Basil Seasoning. 3. Add tomato mixture to chicken. Sprinkle evenly with remaining Mrs. Dash® Tomato Basil seasoning and Parmesan. Turn heat to simmer and cover. Cook an additional 2 minutes. 4. Remove from heat. Keep covered. Rest 2 minutes. Plate, spooning pan juices over each breast. 5. 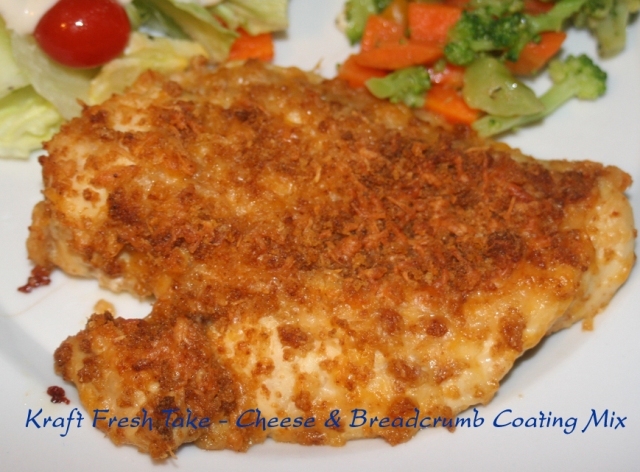 Bake 35 to 40 minutes or until chicken reaches 170°F (77°C). Before I close, I would like to share a few tips I make use of to reduce my family’s salt intake. Use fresh vegetables, they provide an abundance of flavor, no salt needed. When fresh vegetables are not available, prepare frozen vegetables. Many canned vegetables are packed in high salt liquids. Speaking of liquids, when cooking with canned beans drain and rinse them. The liquid is loaded with salt. Be sure to include salt and pepper on the table when serving a meal. Those without the need for ultra low salt diets can add to taste. For more low sodium – healthy eating tips visit Mrs. Dash.